Allergy immunotherapy (allergy shots) results in a reduced medication requirement (including steroids!). Allergy immunotherapy (allergy shots) provides the best chance for acure of all the treatment options available for allergies and asthma. Allergy immunotherapy (allergy shots) received in childhood helps prevent the onset of asthma. 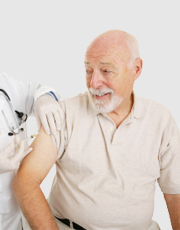 Allergy immunotherapy (allergy shots) helps reduce the development of new sensitivities. Allergy immunotherapy (allergy shots) provides long lasting benefits even after stopping. If you would like to read any of the original articles, please let us know.